Have you ever left the salon with a fresh new hair color, only to realize how bad it was before the appointment? (They say that hindsight is 20/20, and let me tell you, that's true for your hair, as well as the rest of your life.) Before, you might have never noticed the fading color, the lackluster finish, or the tone separation, but now that you've changed it, you think "why did I wait so long?" That's been my experience at least. After getting balayage highlights last winter, I couldn't believe I had lived with my old hair for so long. For pretty much all my adult life, I figured this boost in shine and color radiance only resulted from a new dye. But lucky for me I was wrong. It also results from a much simpler hair treatment—a hair gloss. "I usually gloss every client," says Stephanie Brown, colorist at Nunzio Saviano Salon in NYC. "It's a way to close the hair shaft to make it smooth and shiny. It can also tone hair as well." Keep reading to learn more about hair glossing from celebrity hairstylists. The first thing you should know about glosses is that there are two kinds: clear and tinted. "Clear glosses are usually just for shine, whereas tinted glosses tone the hair. You can make hair more golden or ashier or darker or brighter with tinted glosses," says Brown. How do you decide which one you need? Simple. If your hair is dull and needs a shine boost, go for clear. If the color is slightly off (thanks to the fading summer sun), go for tinted. According to Kérastase celebrity hairstylist Matt Fugate, "tinted glosses will counteract an underlying problem and address the tone. For example, if your hair is warm or brassy, it will cool it down, or if your hair is ashy or dingy, it can warm it up." Though the color enhancement is subtle, the effects are major. Take it from Ryan Sanger, hairstylist at Bomane Salon in Beverly Hills, who says that hair glosses are essentially, "a quick service that makes your hair look shiny and expensive." (Yes, please). Plus, compared to a full-length color session, it takes no time at all. Sanger says that a hair gloss "processes from five to 20 mins and usually last between four to 10 weeks." You can get them repeatedly, too. Let's say you notice your shine is fading after five weeks. Head in for another gloss, and that problem will be fixed. Or you can DIY the look at home to get similar results. 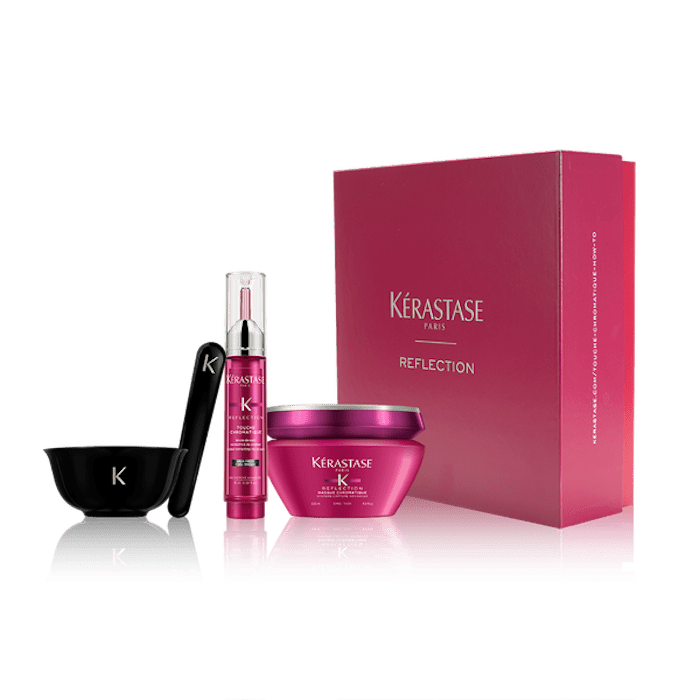 "The Kérastase Réflection Chromatique Collection is my go-to," Fugate says. "The collection comes with a shampoo, conditioner, masque, and Touche Chromatique Pen that has not only tremendous health and conditioning benefits, but the products also allow you to spot-treat and pinpoint your hair color to either prevent fading or to address tonal changes." These haircare kits come prepared specifically to cater to certain hair colors. 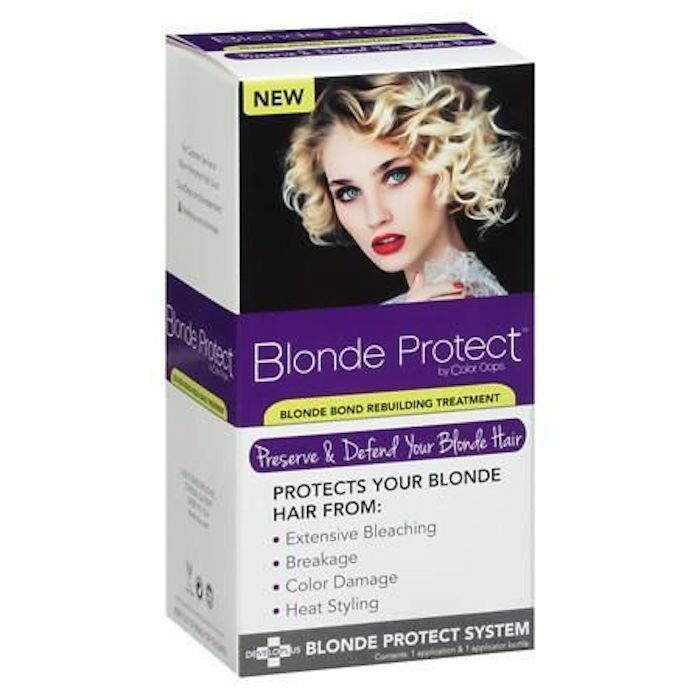 For blond hair, Brown recommends this budget-friendly strengthening treatment. " It strengthens, moisturizes, and adds shine. It is an amazing and inexpensive product." She also recommends using a toning in-shower conditioner, which corrects and prevents color fade. "Just use it like a normal conditioner—there's no need to leave it on the hair," she says. Try Overtone Haircare Conditioner ($17). "I love the overtone colors pastel silver and pastel purple to remove yellow tones and pastel blue for brassy orange tones." 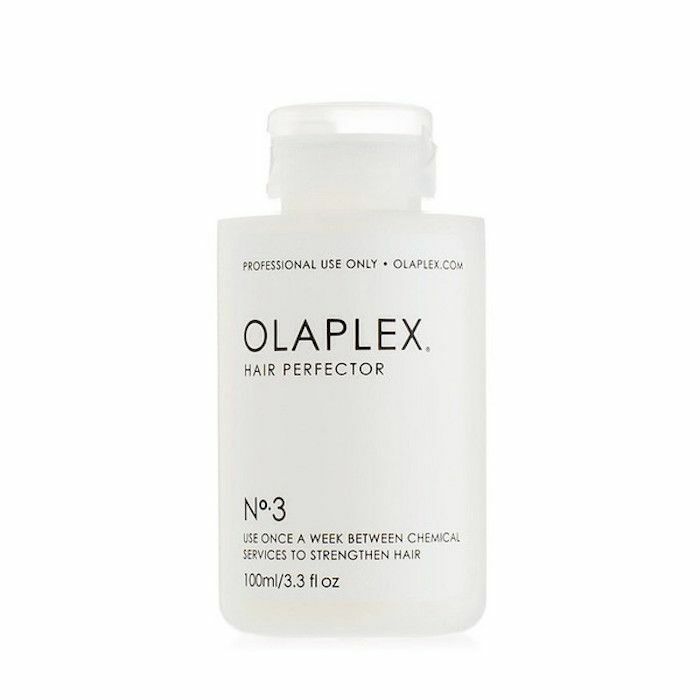 As for Sanger, he recommends the Olaplex conditioning treatment (so do we—this stuff is basically bottled magic). "Olaplex is a must! It strengthens your hair by reversing damage and bringing your hair back to a healthy youthful shine. I would also recommend Davines Essentials MINU/Hair Mask ($34) to prolong and further enhance the shine from your glossing service." Now that you're up to date on hair glossing, read all about the biggest hair trend from New York Fashion Week!